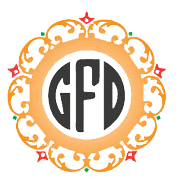 Gvantsa’s Fine Designs (GFD) is a family owned jewelry company, which is based in New York City‘s Diamond District. With living in the greatest city on earth, which brings together all the cultures and nations, our designers are thrilled to share their truly unique styles and inspirations. Gvantsa and her designers work painstakingly to provide the finest one of the kind pieces that will become your life’s memorable treasures. Our mission is to create extraordinary jewelry not just for you, but for all of your family and friends, who will also appreciate and love these exceptional & meaningful gifts just for them. So if you are looking for that unique conversation piece or something traditional and simple you will find it here at Gvanta’s Fine Designs. We feel it’s important to mention, that our company creates jobs in the USA and we do not outsource from foreign lands. Quality and customer satisfaction is priority #1. As an organization we feel it’s important to do our part so our customers can take pride in the fact that a % of each sale we make here at GFD will be donated towards “St Jude’s Children’s Research Hospital”, “Breast Cancer Research” and other charities of worthy causes. The founder of Gvantsasfinedesigns.com, Gvantsa Deler, is a former vice president of ’’ Keti Sorely designs’’ as well as ‘’Cristine Lukas’’ and is now the head designer in GFD. Gvantsa has taken a big part in the creation of top selling pieces, as a production manager and has even modeled numerous jewelry pieces herself. Thank you for reading this and hopefully you’ll enjoy our collection.